A drainage survey carried out by Lanes Group plc has been an essential step towards development of a new waste-to-energy plant. Drainage engineers based at the Lanes Chester depot completed the two weeks of drain and sewer investigations at the site in Northwich, Cheshire. Lanes has been commissioned by demolition specialist Scudder Demolition, part of the Carey Group of companies, to carry out the detailed CCTV drainage survey. The site is being prepared for the construction of a new waste-to-energy plant that will generate enough renewable electricity for more than 125,000 homes. Phil Shelley, Site Manager at Scudder Demolition, said: “An important step is the have an up-to-date accurate map of the surface water and foul drainage system across and around the proposed development site. “This will allow us to make sure the integrity of the drainage system for adjoining facilities is maintained during demolition and site development. The Lanes CCTV drainage survey team is using robotic crawler cameras and push-rod cameras to inspect pipes with diameters ranging from 150mm to 300mm. The surveys will result in the generation of an accurate drainage map of the surveyed site, as well as HD-quality video of pipework revealing its condition, and any remedial work that is needed. Lanes won the work by competitive tender and will also carry out water jetting of drainage lines that are found to need cleansing. 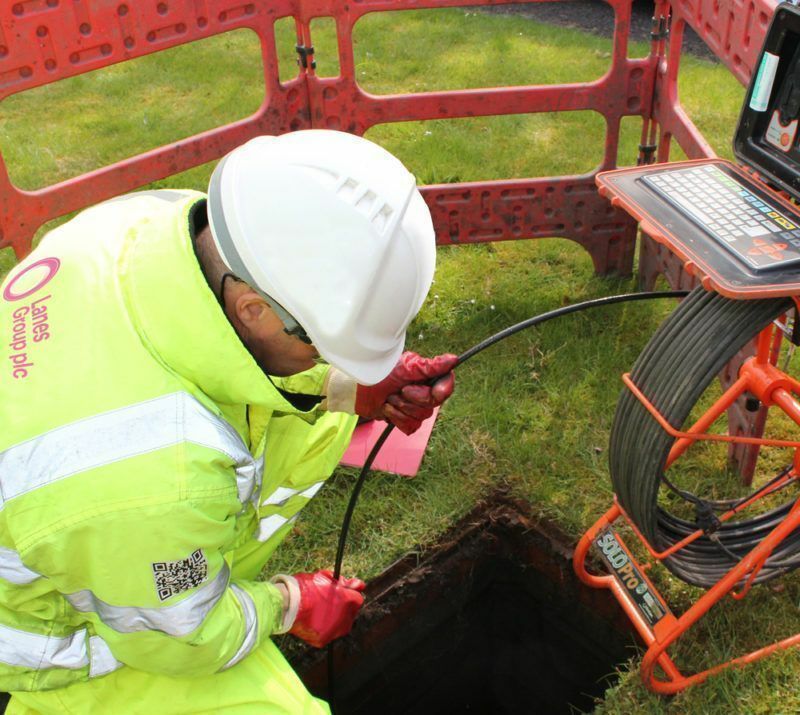 Sian Wyn Jones, Area Development Manager for Lanes Chester, said: “We use the most advanced CCTV drainage survey system. “This allows us to quickly compile survey reports that focus on data of specific interest to client in a format that’s quick and easy to analyse. The waste-to-energy plant is being developed on land owned by Tata Chemicals in Northwich.